Samrat & Co. is one of the forgotten movies released this Friday. Who would have thought that is could gain such a bad response. 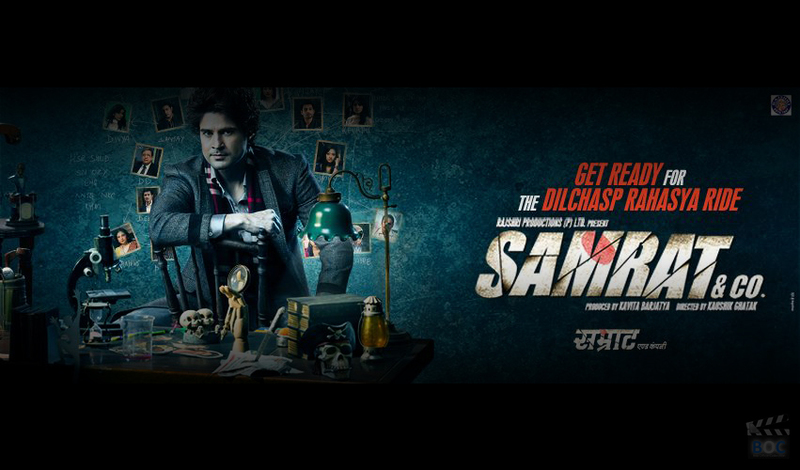 Samrat & Co is a poor man’s version of Sherlock, and Robert Downey Jr’s eponymous films. There are also nods to Agatha Christie, Enid Blyton and other brilliant authors. There’s nothing brilliant about this Rajshri Production, what you have is Rajeev Khandelwal as detective Samrat Tilakdhari, or STD. screenplay leaves a lot to be desired and the pace is excruciatingly slow. The look reminds you of 70s films where the stars danced in front of the camera and scenery made up the backdrop. The music is utterly forgettable and the placement of songs is forced. The film, directed by Kaushik Ghatak, looks like amateur dramatics where the operative word is amateur. Not missing out the similarities, he wears a trench coat and deduces the people he met. The pace of the movie is extremely fast that you get tired catching up the dialogues. Some of the rusty dialogues add on to the misery of the film. Madalsa Sharma in the female lead is underwhelming in her acting. This movie is an utter waste of 2 hours. Instead we would suggest you to re-watch Bhool Bhulaiya. It is directed by Kaushik Ghatak. First day collection of the movie has been really pathetic and it accounts for one of the biggest flops of the year. The estimated budget of the movie is around 10 Crores. Looking at the earnings we doubt if it would ever be able to cross the mark of 1 crore this weekend. 3rd day collection is estimated around 70 Lacs taking the total earning of 1st weekend to somewhere near 1.50 Crores (approx). Still nothing, more can be expected from this movie. This movie is expected to washout soon from the theatres.